Our new Knowledge Exchange report maps the open access monograph landscape in the six Knowledge Exchange countries Finland, the Netherlands, UK, France, Denmark and Germany together with Norway and Austria. A large part of the Open Access discussion has so far been concentrated on journals but in recent years the focus is also starting to move towards making publicly funded monographs open access. It is likely that monograph mandates will follow where mandates for journal articles have lead the way. In the UK, HEFCE has stated its intention to move towards an open access requirement for monographs in the exercise that follows the next REF (expected in the mid 2020). This doesn’t seem to be too far in the future as it can take many years to write a book! There are several projects and initiatives experimenting in the area of open access monograph publishing. In spite of of this rich evolving landscape, it was so far hard to get a systematic overview on characteristic developments and to assess which specific issues would benefit from further attention and discussion. To fill this gap and in order to effectively support open access monograph publishing in its partner countries, the Knowledge Exchange initiated this new landscape study on Open Access Monographs. The study was supported by Knowledge Exchange, FWF Austrian Science Fund, CRIStin and Couperin and written by Frances Pinter, Eelco Ferwerda and Niels Stern. It builds on in-depth interviews with experts from over 70 institutions across Denmark, Finland, Germany, Netherlands, UK, France, Norway and Austria, a survey and also an analysis of existing information. The focus is on three areas: the inclusion of open access monographs in open access policies, funding streams to support open access monographs and business models for publishing open acess monographs. The report has been designed to be read in a number of ways. The reader can either concentrate on particular areas of interest or focus on the eight very rich country studies. It is clear that the eight countries examined in the report are at different stages towards enabling monographs to go open access and that no country has found the perfect solution for this transition but by looking at how particular issues have been addressed we can learn from each other and hopefully build a better system. The report mentions a number of interesting open access book publishing initiatives which are experimenting with new business models and other innovative features. For example, Language Science press in Germany is a very successful new academic-led press with a discipline specific focus. It has already gained significant credibility among the community and was initially developed with support from DFG (German Research Foundation). 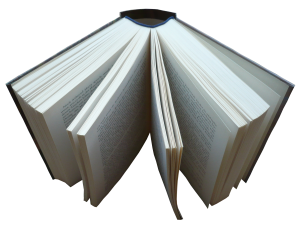 The knowledge gained by this press and other examples mentioned will be valuable when considering similar projects in other disciplines. 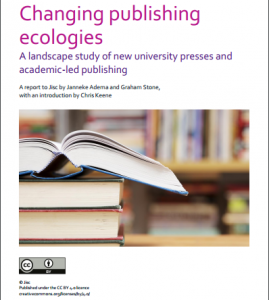 The KE study also complements the Jisc Changing publishing ecologies report by Graham Stone and Janneke Adema which maps the rise in the number of independent presses set up by academics next to university presses in the UK. The report closes with recommendations for a number of groups including Knowledge Exchange. For example, it suggests for the Knowledge Exchange to facilitate the exchange of ideas and to encourage awareness for policy makers across countries on the issues around mandating of open access monographs. Could this lead to policies than can be adopted across countries? Jisc will also review the report in order to recommend best practice for open access monograph publishing in the UK as part of research being undertaken by the Jisc Collections research team on open access publishing infrastructure in the UK. Posted by Verena Weigert on October 6, 2017 in general. Jisc is offering two one-day workshops to help you increase the reach of your digital collections, optimise them for discovery and evaluate their impact. ‘Exploiting digital collections in learning, teaching and research’ will be held on Tuesday 15 November. ‘Making google work for your digital collections’ will be held on Tuesday 22 November. Anyone working in education and research, who manages, supports and/or promotes digital collections for teaching, learning and research. Those working in similar roles in libraries, archives and museums would also benefit. Both workshops will be held at Jisc office, Brettenham House, London and will offer a mix of discussion, practical activities and post-workshop resources to support online resource discovery activities. Posted by Chris Keene on September 8, 2016 in general. DEEP THOUGHT: You’re really not going to like it. The joke of course is that you need to know the question to understand the answer. But in the context of research assessment the joke is sharper. How can an arbitrary number (a number you can imagine Adams’ worrying about making sufficiently banal, not a prime, not magic, just…42) capture the complexities of the value created by research. And yet is it an accident that the Journal Impact Factor of Nature falls just short of 42? The HEFCE metrics report was a rare thing, a report that gained almost universal support for finding a clear and evidenced middle ground on the future of research assessment. More data is coming and ignoring it is foolhardy – the “Metric Tide” of the report’s title – but we should also engage on our own terms, with a critical, and scholarly, approach to what these new data can tell us. The report developed the idea of “Responsible Indicators” that have a set of characteristics: robustness, humility, transparency, diversity, and reflexivity. Responsible indicators are ones that will stand up to the same kind of criticism as any research claim. That means that its not just the characteristics of the indicator that matter but also the process of its measurement. Does it address a well-founded question or decision? Are the data available for checking and critique? Is the aggregation and analysis of this data robust and appropriate? Knoth and Herrmannova, in their experiment developing a new indicator have achieved something valuable. They have developed a numerical indicator that is broadly independent of the number of citations an article receives. There are many issues to raise with the indicator itself and what it can tell us but first and foremost it shows the potential of using the content of a research output itself for assessment. The indicator they develop measures the “semantic distance” between the articles cited by a specific output and the article that in turn cite it. It seeks to use this distance as a measure of the contribution, in essence the distance that the output has contributed to the journey of knowledge creation. 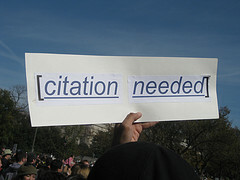 Their report illustrates the limitations of the available data, both in terms of full-text and the availability of citation information. It is a valuable contribution to the debate on what indicators can be based on. There are technical issues to be raised, does the semantic analysis actually measure distance in meaning or only syntax? Is it sensitive to changes in language rather than substance? It worries me that the quantitative analysis gives a normal distribution. Simple chain processes, like the use and processing of information, most often give power law distributions. Normal distributions suggest many different processes all contributing to the final outcome. However the biggest issue for me lies in the framing. The indicator is labelled “contribution” but we’re not sure what it really measures. There are two problems with indicator in its current form. The first is that we don’t have a sense of how it relates to expert judgement. Expert judgement is far from perfect, or even reliable, but without an understanding of the relationship we’re unlikely to see much adoption. A related, and potentially larger, issue is that it is not clear what answer or problem is being solved. One of the big problems with our current metrics is that they have become the target as opposed to a (pretty poor) proxy of something that we actually care about. Just as in the Hitch Hiker’s Guide to the Galaxy, where the answer to the question of the meaning of life the universe and everything is 42, the result is meaningless without understanding the question. We can’t tell how useful or accurate the contribution indicator is without asking “for what”. This new indicator is valuable because it illustrates what is possible. I disagree with aspects of its implementation but that’s almost a part of its value. Maybe it is just what you need to solve your particular problem. Rather than accept or reject an indicator in a vacuum, we need a toolbox of approaches that lets us ask a different question, is it useful in addressing this specific question? 42 might be a very useful answer, at least if you know how to ask the right question. But we need the tools to be able to tell. Towards the end of Adams’ radio play the suggestion is made that the answer and the question cannot co-exist in the same universe. For Adams this was a joke, but for a researcher this is our bread and butter. We can only ever refine our questions in response to our answers and our answers in response to our questions. We just need to apply our own standards to measuring ourselves. Posted by Verena Weigert on June 10, 2016 in citation experiment and tagged citation, research data metrics. My name is Masha Garibyan. I am providing maternity leave cover for Verena Weigert. I will support Chris Keen, head of library and scholarly futures, and my work will focus on medium and long-term trends and initiatives to help UK libraries and universities remain at the forefront of digital innovation in learning, teaching and research. I will also take a lead role for Jisc in the international Knowledge Exchange partnership, an international collaboration to improve open scholarship. Posted by mashagaribyan on May 10, 2016 in general. In today’s scholarly communication environment, it’s easy to be heads down implementing various funder and government policy requirements on open access and research data management. For all involved in academic research, no matter whether as a researcher, managing services to support research, or providing oversight and leadership, we all need to occasionally pause to take a broader look at what’s happening in the world of scholarly communications and open research. What are the current issues we, as a community, face in academic research, and what initiatives are currently in progress to help address them? How will the digital research environment look in five years time? Jisc and CNI have a long tradition in running a joint conference exploring the current issues around scholarly communications. This partnership helps to bring unique insight and ideas from both sides of the Atlantic. This year the conference, entitled ‘International advances in digital scholarship’ aims to answer these questions posed above. The event will address a number of themes including: sustainability of open access; tracking research and research metrics; analytics; research incentives and managing active research. For anyone involved in academic research, the conference aims to ensure those attending will have a horizon scan of the areas of disruption and key developments coming in the future. The one day conference is on the 6 July at Wadham College, Oxford, with a drinks reception the evening before. 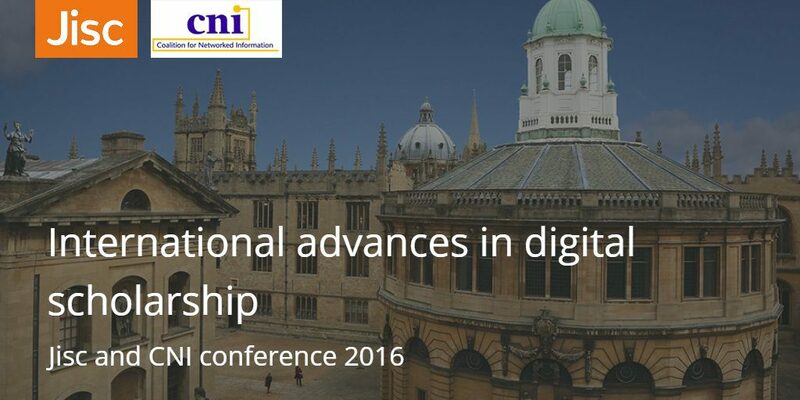 You can find out more and register for the event on the Jisc and CNI 2016 conference page. Early bird booking closes this Friday, 13 May. Posted by Chris Keene on May 9, 2016 in scholarly comms. The recent Metric Tide report proposed the notion of responsible metrics as a way of framing appropriate uses of quantitative indicators in the governance, management and assessment of research. 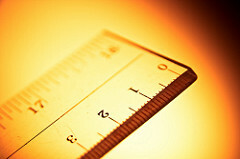 One of the crucial dimensions of responsible metrics are transparent measurement systems. Data collection and analytical processes should be kept open and transparent (including university rankings), so that those being evaluated can test and verify the results. The move to open access and open research means there are now opportunities for more open citation systems. In a short experiment we’re investigating new forms of research citation and measures that could offer more accurate and transparent methods of measuring research impact based on an open approach. We think that CORE which aggregates all open access research outputs from repositories and journals worldwide provides a great basis for this kind of demonstration. CORE is delivered by Jisc in partnership with the Open University (OU). The open citations experiment team – Drahomira Hermannova and Petr Knoth will develop a graphical demonstrator of a new class of metrics for evaluating research. The demonstrator will allow us to visualise and compare – on a small set of preselected publications from CORE – traditional citation counts with the scores for the new metrics (the contribution score). While this new method relies on the access to a citation network it does not use citation counts as evidence of impact. Instead it falls in the class of semantometrics/contribution methods, which aim at using the full-text of resources in order to assess research value, you can find out more about them in this 2014 Dlib article. The demonstrator and report will be available in January 2016, and we’ll post a link to them on this blog. Following this experiment we plan to evaluate the approach and hope to work with researchers, librarians, research managers, funders and other projects working in this space to assess feasibility and to inform thinking on new services and approaches for research citation. If you have any thoughts, ideas or connections do let me know. Posted by Verena Weigert on October 19, 2015 in general. Welcome to library & scholarly futures. As I write I, Chris Keene, have been in my new role at Jisc for exactly one month. We are based in the Digital Futures division of Jisc – think R&D – looking at medium/long term developments in the Library and scholarly spaces and how we can support them. We have a number of initiatives and projects in planning. Some of these will be potential future services and will follow the Jisc phases of innovation. Those that successfully make it to a fully support live service will then be handed over to others within Jisc to support and develop further, we will move on to new things. Posted by Chris Keene on October 13, 2015 in general.